You are here: Home / FAQs / Is There a Demand for Transcript Proofreaders? ::Screams from the rooftop:: YES! Court reporting is a popular career choice, and there are new reporters entering the market regularly as they finish programs in schools nationwide. In fact, CNBC reported in 2014 that America has such a high demand for court reporters, there’s currently a shortage of court reporters. Recently, I got an incredible letter from a prospective student, Darcy, and I HAD to share it with you. I know there are many folks at home who’ve been burned in the past like Darcy and as a result have become skeptical of new opportunities they come across. Darcy did her due diligence, and was thrilled by the result. I enjoyed your interview with Victoria. Thanks for that. I must admit I’m a skeptic at heart. As I mentioned before, it’s probably because I’ve been burned in the past in terms of at-home work. So that I could feel like I had done my due diligence before buying the course, I reached out to a friend who has worked for many years in a big law firm in [city] where I grew up and spent most of my life until marrying the second time 14 years ago. She said she had never heard of this type of work. My heart sank. As it turned out, though, it’s because her firm practices Tribal Law. They don’t have much need. However, she gave me the name & number of a big court reporting agency. I called and explained that I was considering this course, but was trying to make sure it was a legitimate way to earn an income. The woman who answered the phone said that it absolutely was. [Yea!] I proceeded to ask her a couple of questions to which she didn’t have an answer. So, she gave me the name & number of another woman to call who is a court reporter and owns another big agency. I called and she was so nice. She said there is “a dire need” for proofreaders. I asked how they find their proofreaders and she said through the Internet and that proofreaders were all over the country. We chatted a moment and I asked if it would be ok to keep her number and call her after I’m done with your course and she said yes, please do. I told her maybe then I could do some work for them and she said that would be great! Caitlin, I did the happy dance! LOL! So, I’ve talked it over with my hubby and will be moving forward. I just wanted to thank you for being the real deal. So why haven’t you heard about it before? Well, Transcript Proofreading: Theory and Practice™ is the one (and currently only!) program for proofreaders. We just launched in late 2014. Before this course existed, the news was disseminating only via word of mouth. I was asked so many times to teach someone how to proofread transcripts. When I would, either my hours got wasted by that person never taking action with what I’d taught them, or they’d go on to start making money as a proofreader. It was hard to teach people one-on-one. Hours of work. I knew I had to create a course and get the word out about this in-demand type of work! Plus, the amount of new court reporters is increasing at a much higher rate than the amount of proofreaders — so there is no need to worry about increased proofreader supply over court reporters’ need/demand for them. In addition, because this course was just released in late 2014, and is also the first of its kind, this means that a large majority of “proofreaders” out there have had probably no structured training. *I* didn’t have structured training, and I turned out good, so it’s possible, but not easy! The truth is it’s very common to find reporters out there looking for new proofreaders because theirs screwed up. There are lots of underqualified proofreaders out there. But you can’t hide a lack of mastery forever. Sooner or later, the reporters using them are going to find the errors they leave behind and find themselves in need of a new one. 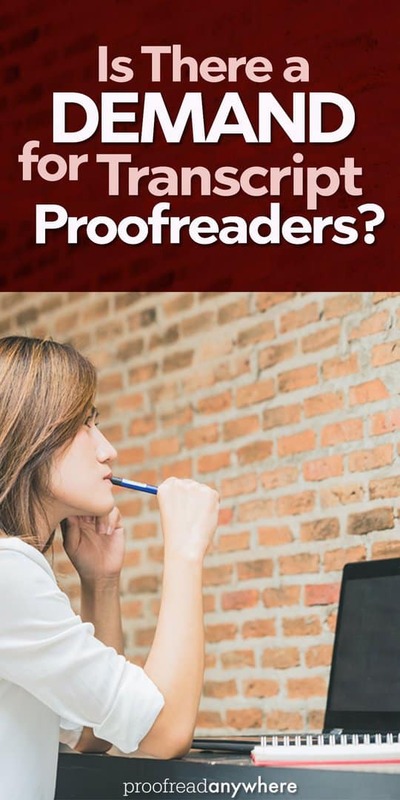 They are much more likely to look for a proofreader who has had real, high-quality, structured training specific to proofreading transcripts over another proofreader who just says they can proofread. Proofreading transcripts is much different than traditional proofreading. Too many folks hop in thinking it’s all the same, and they end up crashing and burning. Most of my students are only looking to supplement their regular job, not replace their job (although I do have a handful that are looking to eventually replace their income with proofreading), meaning they’ll need between 3-4 reporters to keep them as busy as they’d like to be. There are very few (so far) that have 20-30 reporters like me. It can be done, though, especially if you’re good, and you keep at it to gain a solid clientele. Lawsuits are filed at a ridiculously high rate in this country, too, so getting into anything legal is a safe bet until people stop suing each other (not likely). There are also thousands of legal support agencies in the country that may also use proofreaders for quality assurance. They know good work keeps them in business and they’re willing to pay to ensure their work is good. Some court reporters don’t use proofreaders, too, because they’re trying to save money, but their work suffers because of it. Agencies know this happens and so the extra check is for their benefit and helps them hold reporters accountable. 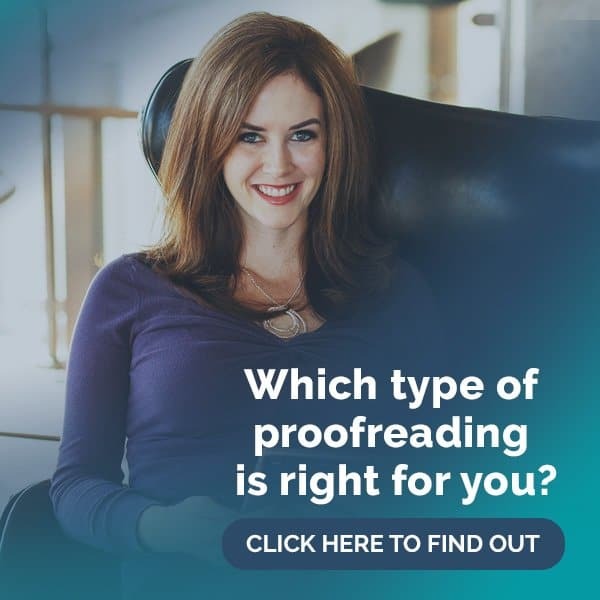 My goal with the course is to train proofreaders to do things the right way from the get-go, and make trained proofreaders the preferred proofreaders for court reporters — instead of court reporters taking on just anyone who says they can proofread. Many people think they can proofread just because they’re “good at spelling and grammar” or they already have a background in editing — the truth is that proofreading transcripts is only about 20% knowledge of spelling and grammar, and you don’t edit anything. Reporters have spell check and because transcripts are word-for-word records of what was spoken in a proceeding, a witness or attorney can speak “with super bad grammar” and horrible syntax and guess what? Can’t fix it. Transcript proofreading really, truly, is an art. It takes some hard work to learn it, but once you get the hang of it, it is so worth it! RELATED: Is the Proofreading Market Flooded? I am interested in your transcript proof reading course, however I’m from Sydney, Australia and wanted to know if this type of work translates all over the world. I am an avid reader, have worked primarily in communications roles and project roles where my writing and proofing skills need to be of a high standard, but am craving the freedom to be my own boss and have more time with my daughters and their school activities (I was a volunteer reading mum at their school) and would like to continue that in helping children who need support. I lack the confidence to go out on my own, but know that I could do this and enjoy it. Please let me know your thoughts. I don’t know if you’ll even see this message after all this time, hopefully you have reply notifications turned on…. 🙂 but I’m wondering if you ended up taking the course and how you went with finding clients? I’m also in Australia so I’m curious to know. WOW. Such a great article! I understand that you won’t spell this out here in response to this, and I read your annoyance with people who say, “Will you find me the jobs at the end of the course?”, but what I want to know is this: do you offer concrete ideas on how to find clients in your course? Not being connected to the legal world yet, I can see that being a challenge for me. I am a lover-of-language and a grammar-Nazi so I could see this information coming easily to me (I DO understand that it will be hard work and studying, but I know I can do it). I just want to make sure that, once I DO receive the right training, I’ll be able to figure out how to find the work! Yes, yes, and yes. I go into it in FULL detail in Module 8. Like, WAY more detail than you’ll be expecting. Haha. I fully expect to blow your socks off with the amount of details I’ve provided. I do *NOT* hand out lists of reporters to contact, but I provide instructions on how to find them and what to expect. Great! I did finally “stumble” across your course syllabus, so that helped. Thank you for your quick response. What a great post! 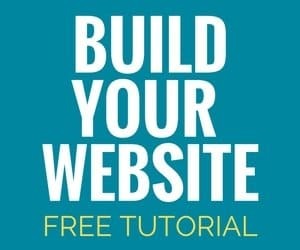 There is so, so much great info on this site and I am seriously considering this program. My concern is, will someone who does not have a college degree have trouble getting clients/getting into the field? I’m sure having this specific training and certification under my belt will help tremendously. But my “F word” is completing this and my lack of degree will stop me from getting clients. Thanks so much in advance! No 🙂 I’ve never been asked what degree I have. It matters that you know what you’re doing and can prove that. There are a couple other FAQ posts that address degrees/lack of prior proofreading experience, etc. 🙂 Glad you are enjoying the site. We’ve worked really hard on it! I am liking what I am seeing here! After reading many positive testimonials, it is convincing me to consider this opportunity. 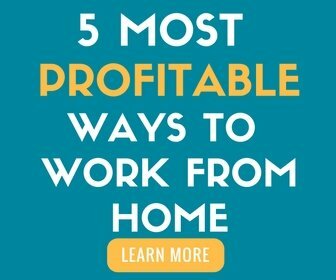 I am a business major and I have been searching for the right business opportunity to where I can have the freedom or some type of freedom to do things I love doing. In college, one thing that I was good at was writing papers (essays). In my previous job, my supervisor was adamant about any correspondence leaving his desk or by email. He would re-re-re-read things until his eyes turned blue! Literally! But that rubbed-off me and now I am the same way when I write emails either at work or personal emails. Like you said, I may not make millions, but the potential freedom while making a nice living is there. And that is what I am looking for. Thank You! Caitlin, being a word-o, I must point out a grammar error I have seen in several of your posts: One thing cannot be different THAN another. It is different FROM another. Thanks! Seriously considering taking the full course. I’m actually just hearing about the role as a “Proof-reader for Court Reporter”; I’m not working right now – and definitely looking for something I can work from home. I’m VERY skeptical of this though as I just hadn’t heard about it ever. AND it’s sound like there some costs involved to become a Proof-reader. I have a degree in English w/Emphasis in Speech Communications. I have published a small book a few years back, I proof for others often – for my church, people needing resumes revised, my husband who has written 2 books, and the list goes on. So, how does it work to get started doing this?